It appears that Hillary is already in 2016 campaign mode and throwing the Obama Administration under the bus. Now watch the unedited version and you’ll see that Clinton is referring to foreign leaders and Egypt rather than Obama. Who edited the Beck tape? Or is the other tape edited? Unknown, although as you’ve seen at the Beck link, he posted an update disclaimer concerning the validity of the tape. Hopefully, Beck will leave the video up with an explanation. Politics are a very dirty business. Did Clinton know Libyan arms passed through Turkey? It seems apparent that the concussion suffered by Sec. of State Clinton must have affected her memory. She appeared quite surprised by Sen. Paul’s question concerning arms to Turkey (about 2:30 in). Here is the text. Sen. Paul: Is the U. S. involved with any procuring of weapons, transfer of weapons, buying, selling, anyhow transferring weapons to Turkey out of Libya? Mrs. Clinton: To Turkey? I will have to take that question for the record. Nobody has ever raised that with me. Sen. Paul: It’s been in news reports that ships have been leaving from Libya and that may have weapons and what I’d like to know is the Annex that was close by, were they involved with procuring, buying, selling, obtaining weapons and were any of these weapons being transferred to other countries, any countries, Turkey included? Mrs. Clinton: Well, Senator, you’ll have to direct that question to the agency that ran the Annex. I will see what information is available. Sen. Paul: You’re saying you don’t know? No information Hillary? No idea at all why Ambassador Stevens met with the diplomat from Turkey that fateful evening? For reference, here is the story concerning the Libyan flagged vessel arriving in Turkey with a load of arms – http://www.thetimes.co.uk/tto/news/world/middleeast/article3537770.ece. Perhaps you’ll recall this interview you gave back in February of 2012 – http://www.state.gov/secretary/rm/2012/02/184662.htm. When asked about arming Syrian dissidents, you said this. This is not Libya, where you had a base of operations in Benghazi, where you had people who were representing the entire opposition to Libya, who were on the road meeting with me rather constantly, meeting with others. First of all, as I just said, what are we going to arm them with, and against what? You’re not going to bring tanks over the borders of Turkey, Lebanon, and Jordan. That’s not going to happen. So maybe at the best, you can smuggle in automatic weapons, maybe some other weapons that you could get in. To whom, where do you go? You can’t get into Homs. Where do you go? And to whom are you delivering them? We know al-Qaida. Zawahiri is supporting the opposition in Syria. Are we supporting al-Qaida in Syria? Hamas is now supporting the opposition. Are we supporting Hamas in Syria? Clinton also traveled to Istanbul in August of 2012. Why? On August 11, Secretary of State Hillary Rodham Clinton traveled from Africa to Istanbul, Turkey, where she met with senior government officials to coordinate on Syria. Point is that Clinton has tipped her hand multiple times that she has been intimately involved with all the players and to think she knows nothing sounds much like Obama not hearing anything in Rev. Wright’s church for 20 years. Nobody is buying Hillary. What you won’t find is a smoking gun in which the State Dept. signed off on the CIA weapons transfers. Clinton is a good soldier to the end who was well-prepared in how to deflect any real questions, of which there were very few. Both committee hearings were merely for public consumption as everyone in the room already knew of the State Dept. involvement. It’s been a long tradition that the State Dept. lays the groundwork and provides the diplomatic cover for a variety of other agencies operations. It may have been the CIA conducting the actual arms transfers, but you can bet it was the State Dept. that arranged the financing from Qatar, Saudi Arabia, U.A.E., etc. Clinton testified – Clinton lied – Doh! I promise I won’t bore you to death with a complete play-by-play of Clinton’s testimony on Benghazi. I wrote off her testimony as being significant long ago. Yes, I know she is only asking questions and not testifying under oath as my title conveys, but the expectation is the same. Clinton is a polished liar from way back so there was only one possible outcome to her testimony – more of the same. I only wish to point a couple of things. We know she doesn’t read cables, she testified to that and Rand Paul spanked her on it. Apparently, she also doesn’t read all the talking points memo’s either. She brought up the “J” word, a no-no in Obamaland. Look no further than the Obama tripod of nominations. Kerry, Hagel and Brenner. All are fully on-board with Obama on the anti-Israel, pro-Islam rhetoric that we will inundated with the next four years. Clinton should have known that promoting this idea that “We now face a spreading Jihadist threat” is not allowed. After all, it’s why the video cover-up was hatched to begin with. She also spent considerable time and effort throughout the day lecturing Congress that Benghazi, and all of its complexities, is still an on-going investigation with very few definitive conclusions having been drawn even after more than 4 months. She cited the ARB report multiple times as well as the sister classified version the public doesn’t get to see. Even so, she referenced it often and took extra effort to highlight the fact that many of the simplest details have not yet been validated. Having said that, it’s interesting that she was able to make this claim yesterday. After months of investigation, we still can’t confirm even minute details concerning Benghazi, yet Clinton has already determined beyond a shadow of a doubt that the Algerian terrorists used Libyan weapons. Hmmm….well I must agree with her assessment as being spot on. Working hand in hand with the CIA to deliver those weapons to AQIM gives one the clarity to make such declarations. In fact, if she doesn’t want to interrupt her upcoming long vacation, she could probably make some public statements right now as to how conflicts yet to play out will also involve weapons she, along with Amb. Stevens and the CIA, helped to deliver to multiple factions of Islamic Jihadists. Oops, I used that “J” word again. At any rate, Clinton again stated she takes “full responsibility” while again taking no responsibility. So let it be written, so let it be done! The 2nd Amendment does NOT grant us as human beings our right to self-defense, to self-preservation, to life. The 2nd Amendment merely serves to insure that our government does not infringe upon our unalienable right to self-defense. Our unalienable rights CANNOT be granted, stripped or altered in ANY way by any other human or government entity. ANY executive action or order implemented by the President has no authority whatsoever if it infringes upon our unalienable rights. No court at any level has the authority to uphold, diminish or modify our unalienable rights. No level of government has any authority to legislate our unalienable rights. This may be an uncomfortable truth for some to bear, particularly concerning the sensitivity with the mass shootings dominating the news cycle. However, regardless of the incomprehensible brutality of any of these events, no one has the authority to diminish my unalienable rights as a response. It isn’t a matter for debate or interpretation. As far as any legislation or authoritative action being taken to control the manufacture, distribution, ownership or possession of guns no matter the caliber or magazine size, these actions are against natural law if they inhibit one’s ability to exercise their unalienable right to self-defense. Natural law is above common, civil or criminal law. It is above federal, state or local statutes. It is above our Constitution, our Bill of Rights, our Declaration of Independence. Natural law cannot be litigated, repealed or amended. Natural law is granted by God, our Creator, and is equal to the Word of God. Natural law is more than the law of the land, it is the law of mankind. Does this mean it is practiced as such? Of course not. Natural law flies in the face of any authoritative or centralized form of government in existence. Efforts are always underway to diminish it, to suppress it, to deceive and disparage it. We see the efforts today to show the Constitution as outdated, as a living and breathing document subject to interpretation by the whims of activist judges. The day is not far off when the Constitution will be treated as natural law is. Barely even acknowledged. Mere history book material. Nonetheless, natural law retains its standing. Any human being anywhere on the planet can at any time draw upon its authority to exercise their unalienable rights. Does this mean reality plays no role? Not at all. It’s more than a bit ironic that it will take a collective recognition of our natural law rights to garner the respect for those laws required to enable their implementation. The existence of any law does not insure its adherence. Which is at the heart of the argument of passing more laws against gun violence to go with the multitudes already existing that criminals pay no mind to. Natural law is for the law-abiding, to give them the acknowledgement that they have the authority to hold their unalienable rights above all. If one wishes to carry a weapon for self-defense, no matter what it is, they have that right. Let’s remember what a right is. It only exists if by exercising it, it doesn’t infringe upon another’s right. If I carry a weapon for self-defense and then use it to execute a criminal action, I am nothing more than a criminal. What is the difference? I could have used any number of items to commit the criminal act, including my own hands. The weapon is irrelevant when it comes to intent. This discussion isn’t even on the radar of the majority of Americans, most of who’ve never even heard of natural law. If they had, we wouldn’t be having a public discourse concerning to what extent we are willing to compromise our unalienable right to life in the interest of “doing something”. Obama and Biden may be taking advantage of what would appear to be a matter of common sense in claiming that these actions are “worth it” if they save even one life. Natural law says they CANNOT do any such thing regardless of the motivation if it in any way diminishes said law. This is merely one example of the war on our liberty, and that’s exactly what it is, a war. There are an array of forces with differing agendas aligned against our rights. We are losing the war on all fronts and, unfortunately, generally surrendering without a fight in most cases in the interest of political correctness or just “doing something”. Those who cherish liberty had better take a good look around and garner an accurate appraisal of who the enemy is and why we are losing. Think it’s just a matter of electing the right people? There are a number of “good” people in office right now. Can you point to any legislation they’ve introduced clarifying the fact that natural law is the true law of the land negating much of their work? It is quite clear that Obama has moved beyond the point of any concern over Constitutional adherence. The battles of decades past have been to diminish the Constitution. Now it is just to simply ignore it with no need to amend it. Do you see the SCOTUS with the will to step in and act as the intended check and balance against a tyrannical Executive branch? As long as we continue to fight the war on their terms, we will continue to lose. Unfortunately, exceptionalism has led to apathy. President Obama has issued his wish list of 23 executive actions concerning gun control. That’s all it is, nothing more than a policy directive calling upon other federal agencies to do their job, which by implication, obviously they haven’t been doing. At the very top of the list would be our Attorney General, Eric Holder. President Obama has charged Holder with the task of making the Department of Justice the focal point for reducing gun violence. Here is the executive action from the White House website. trafficking laws that impose serious penalties for these crimes. Furthermore, the President has directed that we share information concerning lost or stolen guns. states and cities to follow those models. Thankfully, we can now report that the AG has already made great strides without even lifting a finger. 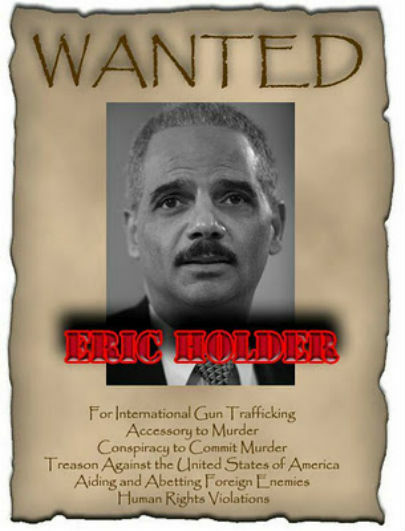 Reason being is that it was Holder, at the direction of Obama, that executed the “fast and furious” gun trafficking operation in which the U.S. federal government supplied guns to Mexican cartels in which those guns were used in killing untold numbers of Mexican citizens as well as a U.S. Border Patrol agent. How’s that for efficiency, something the federal government is notoriously poor at? Holder can make his first arrests without ever leaving his office. The good news doesn’t stop there. The Mexican gun-walking operation was so successful that Obama elected to implement it in Benghazi, Libya in order to redistribute the arms caches of former Libyan strongman Moammar Gaddafi. Obama saw it as an excellent opportunity to empower the Muslim Brotherhood as well as AQIM, Syria, Hamas and Hezbollah. Unfortunately, the covert operation resulted in the deaths of 4 Americans including a U.S. Ambassador and two Navy Seals. I wouldn’t be too concerned that Obama is losing any sleep over this. After all, it was his responsibility as Commander-in-Chief that saw 22 Navy Seals die in a Chinook helicopter brought down by a single RPG in Afghanistan. Normally, one would think it wouldn’t be prudent to group together so many valuable assets in a slow-moving easy target as highly vulnerable to such an attack at take-off as an AH-47 is. Just one man’s opinion. Regardless, we now have two prime examples of gun trafficking operations that the new Obama executive actions are designed to prevent. Will Holder and Obama follow through and prosecute those responsible? Word is they will right after O.J. locates the “real killer” he’s still searching for. If you’ll recall, the mistake Romney made was in claiming that ALL Jeep production was moving to China. Spellchek covered this story back in November – https://spellchek.wordpress.com/2012/11/01/did-romney-lie-in-his-ad-about-jeep-production-moving-to-china-or-is-the-uaw-and-the-obama-campaign-not-telling-you-the-whole-truth/. CEO Sergio Marchionne felt obligated to send out a company e-mail in response to the charge from Romney. He said this. From the same e-mail he said this. Perhaps now that the Presidential campaign is over, Marchionne feels it’s OK to reiterate what he had already alluded to previously but the press, and the UAW in particular, had no interest in reporting. Jeep production is moving to China. Just not all of it. If there is any doubt as to the true intentions of President Obama’s agenda toward gun control, he answered the question himself back in 1996. While running for a seat in the Illinois State Senate, he filled out a candidate survey for the Independent Voters of Illinois Independent Precinct Organization (IVI-IPO). From the survey which you can read here – part one/part two – H/T Politico. Question 35. Do you support state legislation to? a. ban the manufacture, sale and possession of handguns? The next question asks a similar question about banning weapons, however, the type is ineligible. Obama answered yes. As a sidenote, he also rejected capital punishment, did not support electronic eavesdropping (not so anymore), and universal health care with a single payer system at the federal level. His campaign manager at the time was Carol Harwell whom an Obama aide told Politico that the survey was filled out by and not Obama himself. Interesting that when the flap over the Ron Paul newsletters and their racist tint surfaced during the primaries, the left discounted the idea that those newsletters were written by a third party with Ron Paul merely the editor. No hypocrisy here. At any rate, the opportunity was provided for then candidate Obama to expand upon his views in his answers to any of the survey questions. He did so on several occasions but not on the gun control issues. Being the POTUS is far different from state senator so Obama will not do the same and openly call for a handgun ban. That is a long-term agenda goal that he may do little more than establish the groundwork for in his 2nd term in office. We’ll have to see what events transpire that effect the public discourse over time as to how quickly he moves his agenda forward. 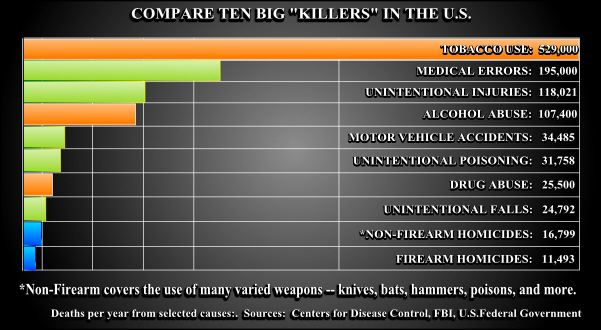 Are we really serious about banning inanimate objects that “cause” death? 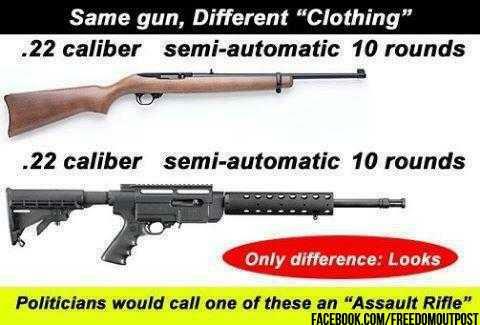 Will banning weapons that “look” dangerous do any good? V.P. Biden makes the claim that if the task force recommendations can save just one life then they will be worth it. Could it be the life Attorney General Eric Holder wasted in the form of a U.S. Border Patrol agent under his Fast and Furious gun trafficking scandal? The Newtown murders were on December 14th and we will already have the task force recommendations on January 15th. Only took a month. The Benghazi tragedy Obama doesn’t want to see on the front pages occured on Sept. 11, 2012. 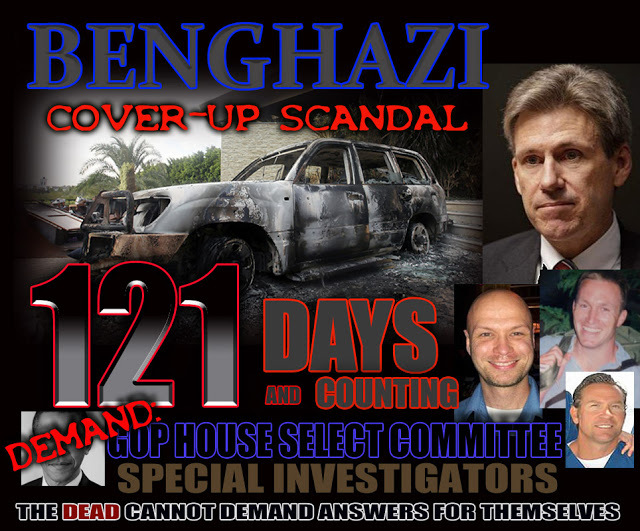 121 days and counting without any task force even being talked about. Just a matter of priorities, isn’t it Mr. President? The 2nd Amendment to the U.S. Constitution. The Preamble to the Declaration of Independence. Here is a transcript of a letter I submitted to my elected officials concerning the debate over gun rights. I am writing to you concerning the various efforts underway to legislate my ability to own a gun. Thomas Jefferson wrote in the Declaration of Independence that we are endowed by our Creator with certain unalienable rights, the right to life included. That should end the debate right there. Gun ownership to protect ones right to life is not a 2nd Amendment issue. The right to life is granted by our Creator and cannot be extended nor denied by government. The Bill of Rights serves to ensure that government does not infringe upon my unalienable rights. Government has absolutely no authority to dictate how I choose to exercise my right so long as in doing so, I don’t infringe upon any other person’s ability to exercise their right. The debate over the interpretation of the 2nd Amendment has always been the right to bear arms as an individual or as part of a well-regulated militia. A right to bear arms as an individual can have a multitude of interpretations, however, they are exclusive of the unalienable right to life granted and guaranteed by the Creator. The debates over gun rights are two separate and exclusive debates. The interpretation of the 2nd Amendment should have no bearing on defending ones right to life and vice-versa. The method I choose to defend my life is entirely mine. Restricting personal gun ownership in any manner under the interpretation of the 2nd Amendment can NOT infringe upon my choice for self-defense. The Declaration of Independence, the U.S. Constitution and the Bill of Rights all serve to affirm that government will never infringe upon any unalienable right. We have allowed the anti-gun lobby to create a strawman argument over gun control. My right to life is not a Constitutional issue so the attacks on the 2nd Amendment are irrelevant accordingly. Yet that is where the public debate is centered today. You could repeal the entire 2nd Amendment and that would in no way lessen my unalienable right to own a gun for the protection of my life. This has been the mistake of all the stakeholders in defending our rights against the anti-gun crowd. We have allowed them to choose the battleground for debate. There is no debate when it comes to unalienable rights. We need you and your fellow members to engage the public with a heavy dose of education as to the merits of this debate. They need to be aware that this is not a 2nd Amendment debate at all. When we allow the enemies of the Constitution to set the ground rules, they control the debate. Americans must defend their unalienable rights with complete conviction and not waver under emotional responses to people who are evil and commit evil acts. Allowing the anti-gun crowd to create confusion over the interpretation of the 2nd Amendment is a diversionary tactic to strip away your rights under false pretenses. Hopefully I have made my point completely clear. Owning a gun for self-defense is not a 2nd Amendment issue at all. It is an unalienable right and cannot be taken away by any government. Ever.